While some designers search for ideas in the stars, others find architectural inspiration – even solutions to complex mechanical problems – in the embodied knowledge of historic buildings. It is hard to find a better example of the latter approach in practice than at John Milner Architects, Inc. (www.johnmilnerarchitects.com) of Chadds Ford, PA. From its base in the scenic Brandywine Valley, this preservation-devoted firm has built a national reputation for expertise in historic building design and construction – be it for seamless sensitive additions, highly respectful restorations or pitch-perfect new buildings in traditional styles. 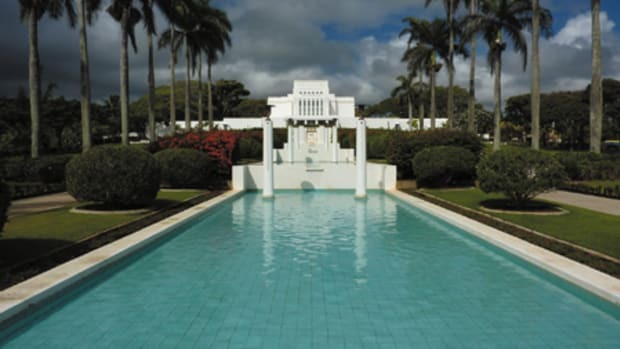 According to principal and founder, John D. Milner, FAIA, "We&apos;ve found that by studying a broad range of architectural precedents – that is, how design challenges were met, successfully and even unsuccessfully, by past architects and artisans – we&apos;re then in a position to figure out both preservation and contemporary design projects." Such a philosophy should come as no surprise. While studying architecture at the University of Pennsylvania, Milner was able to land a summer job at the Philadelphia office of the Historic American Buildings Survey (HABS) at the same time the National Park Service was working on Independence Hall. 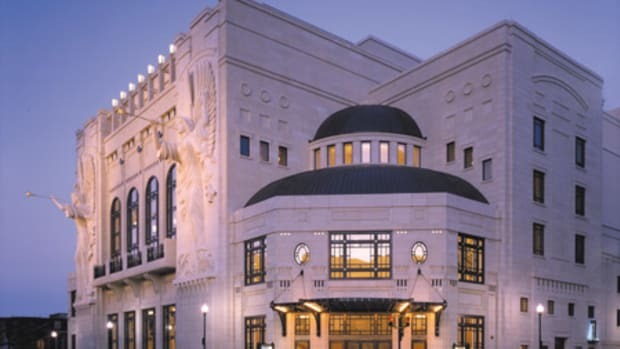 "It was a real eye-opener," he says, "and an incredible opportunity to work at the Hall with Lee Nelson and Penelope Batcheler – two seminal preservationists." What&apos;s more, the experience left an impression that wouldn&apos;t fade once he was back in the classroom. "At Penn, I had some very good professors and lecturers," says Milner, "yet I could hear Louis Kahn, and be blown away by his imagery of space and light and air, but I never understood what he was talking about when he said &apos;A brick wants to be a brick.&apos;" Milner says he realized he was studying not the makings of buildings but abstract concepts. "At HABS, I could put my hands on and make drawings of real buildings. Through that process I learned what a building is, and that enabled me to return to Penn and work on designing buildings." He adds, "At HABS and the National Park Service I learned that historic buildings could teach me about design, and I found that restoring historic buildings fueled a very strong desire to design new buildings guided by the principles I saw in older buildings." 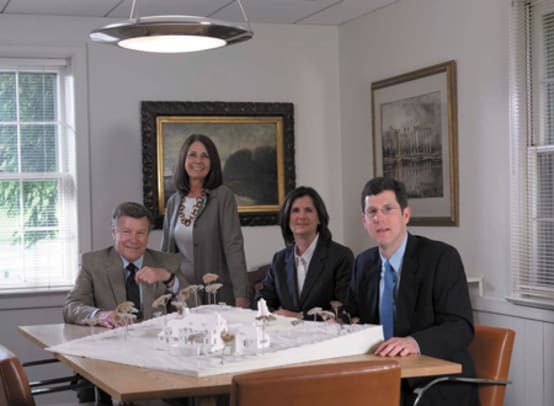 That desire became the wellspring of a firm that specializes in 300 years of historic building construction and design. "Our projects are pretty evenly split between new design and preservation work, and those two tracks are an integral part of what we do," says Milner. Adds principal Christina H. Carter, AIA, "There&apos;s always a component of historic preservation when you&apos;re dealing with existing fabric, but our firm&apos;s focus is historic preservation, and just about everything we do is either within a historic building, a historic context, an existing National Register district or a historic landscape." "At Penn, I had some very good professors and lecturers," says Milner, "yet I could hear Louis Kahn, and be blown away by his imagery of space and light and air, but I never understood what he was talking about when he said &apos;A brick wants to be a brick.&apos;"
Today John Milner Architects hovers around 20 people, with a practice based primarily in the eastern United States, but also reaching to the Midwest – and recently to some intriguing offshore commissions. But it wasn&apos;t always that way. Milner began his office in 1968 with a much smaller staff – "basically myself," as he recalls with characteristic modesty. "I was absolutely blessed at the age of 29 to be working on HABS projects in Bethlehem, PA, the city started by the Moravians in the 18th century." One day the clent, Historic Bethlehem, asked Milner if he&apos;d become the architect for the restoration of the tannery building, which came as quite a surprise, because architects often cut their teeth doing garden-variety remodeling projects like kitchens and mud room additions. "&apos;I would love the job,&apos; I answered, &apos;but I just took my architect&apos;s license exam, and I won&apos;t know the results for two months,&apos; to which they replied, &apos;Well, we can wait two months.&apos; Fortunately, a Bethlehem architect, Robert Spillman, let me work through his office until – low and behold – I passed. If I hadn&apos;t, I might be doing kitchens today!" In fact, traditional residential and country property design is one of the services of the current firm – especially for sensitive environmental settings – but when the project is an existing structure, they look first at the history and significance of the building itself. Says principal Christopher J. Miller, AIA, "Our firm is really defined by respect for the features of these very important buildings. That works for us whether the project is in Philadelphia, such as at John Notman&apos;s St. Marks Church built in 1850. It works in Chicago at Fourth Presbyterian, a Ralph Adams Cram church, and, it works in suburban New York at Rye Presbyterian, a Richard Upjohn church." "All of those buildings are based not so much upon regional design and traditions but precedents – in this case from the English Gothic Revival and the mid-to-late 19th century." Miller adds. "These precedents are not only from outside our region, they&apos;re not even from our country." The firm typically does a lot of research in projects like these, often including components of a Historic Structures Report – be it a conditions assessment or a preservation recommendation. "Even if there isn&apos;t funding to do a full HSR, as defined by the National Park Service, the obligation is to get at least partway there, to know what we&apos;re working with," says Milner. That&apos;s not to say the firm&apos;s isn&apos;t also in demand for its expertise in vernacular architecture. Principal Mary Werner DeNadai, FAIA, recounts such a commission from a Presbyterian church in Lancaster, PA. "The elders wanted to build a new sanctuary, but they were really enthralled with the look and ambiance of a New England Puritan meeting house," she says, so they interviewed five different architectural firms, many specializing in new church construction. What&apos;s more, they wanted a very large meeting house to seat 2,500 people. "We said, &apos;Well, we can&apos;t do that for you,&apos; DeNadai recalls, "because 2,500 people is not a meeting house, but something different." The church thanked them and moved on to other firms who all promised as many seats as desired. "Then the elders called us back," DeNadai adds. "&apos;You&apos;re right,&apos; they said, &apos;we&apos;ve got to lower our expectations for seating here to get the character we&apos;re trying to achieve.&apos;" Ultimately, John Milner Architects designed a 1,200-seat meeting house – half the size of what the elders originally projected. Such a rich background in historic buildings naturally extends to the materials and construction itself. Explains Carter, "Though we have always had conservators on our staff, a few years ago our lead conservator, John Carr, joined with John Milner and Mary DeNadai to establish an affiliated company, Milner + Carr Conservation. Their focus is hands-on conservation work – not only of buildings, but also building components, statuary and non-artwork objects." The conservation firm, now called MCC, made its home in a converted stable in Philadelphia, where John Milner Architects also has studio space and a satellite office. "It&apos;s a wonderful fusion of architecture and conservation," says Milner. "There are conservator studios on the first floor, and office spaces on the second floor, where the horses climbed a ramp to their stalls after they were finished pulling wagons around the city." "It&apos;s also an ideal adaptive reuse of a historic building in Philadelphia," adds DeNadai. "We made the best of everything, including the horse stalls that helped us divide the work spaces on the second floor." It&apos;s no coincidence that the stable building is a good snapshot of the firm&apos;s larger practice. "Adaptive reuse is a buzzword coined in the 1970s and &apos;80s," says Milner, "but it&apos;s really a form of preservation and part of what we do. We don&apos;t have great numbers of pure restoration projects in the office at any one time. Most of our existing building projects involve finding new uses – recycling or improving them in some way." Adds Miller, "Most people wouldn&apos;t think of church projects as adaptive reuse, but we are indeed often adaptively reusing space within a church for more complex functions while the building remains a church." The firm also works with rectories, manses and other historic buildings that are owned by a church and may be repurposed for office space or other needs. Such work typically includes introducing current accessibility standards into a historic building, integrating new systems, or bringing the space up to new code regulations. If churches and ecclesiastical buildings appear to be an important building type for the firm, there&apos;s precedent here too. "Churches really are the centers of many of these historic communities," says Miller, "and in many respects continue to play vital roles. What&apos;s more, church projects represent exactly what our firm does, almost from top to bottom – whether it&apos;s reusing the historic fabric, designing very sensitive additions, or creating a new gathering space." As an example, the architects point to a recent project at St. Peter&apos;s Church in the Great Valley near Valley Forge. The congregation of this early 1700s Episcopal Church hired the firm to do a master plan for their campus of about 16 acres with the original historic sanctuary on it. "They needed a large space for classrooms, Sunday school and other kinds of venues," says DeNadai, "so turning to the architectural vocabulary of the Welsh settlers of Chester County, our firm designed a bank barn on the campus that sits beautifully within the context of this historic church and cemetery." The congregation now uses this large building to house all the classrooms, as well as for weddings, receptions, and holiday services, such as Christmas and Easter, when the congregants cannot fit into their original sanctuary. Even though John Milner Architects&apos; traditional design and restoration work is their specialty,sustainable building issues come into play and mechanical upgrades are often where the rubber meets the road. Says DeNadai, "We work with mechanical and electrical engineers who are all LEED certified, and pretty current in energy-efficient design. We also look at materials selection – recycled materials especially – and we keep in mind a healthful work environment for both the construction workers and for the end-users, ultimately trying to reduce construction waste." Carter adds that in some instances they have clients who don&apos;t want to go through the entire LEED application process, with its associated costs in budgeting and paperwork, but they do want the project designed with the guidelines in mind. "For a number of our National Park Service jobs we&apos;re required to prepare a checklist early on in the project, realizing that in many cases, all the requirements won&apos;t be achieved," says Carter. "The checklist is their way of making a good faith effort to focus on the goals, and doing what they can with the LEED components." And should you think that historic architecture is not part of the new global economy, think again. "I was sitting at my desk on a Wednesday or Thursday afternoon," says Milner, "when my receptionist announced a phone call from China. I said &apos;Really!&apos; so I picked up the phone and the caller said, "You&apos;ve been identified to work on our new residential community here in China, and we would like to come talk to you about it.&apos; I said &apos;Well, when were you thinking about coming?&apos; and he said, &apos;There are ten of us and we&apos;re coming to see you on Monday.&apos;"
As the story goes, the visitors were absolutely intent on seeing Georgian architecture, so Milner scrambled to organize bus trips to 18th-century historic sites around Philadelphia, such as Fairmont Park and the 1767 country manor Cliveden, as well as plan for the myriad complications of a short-notice tour – not the least of which was a formidable language barrier. As Milner recalls, "I thought to myself, &apos;I don&apos;t know how this is ever going to work; none of these folks speak English!&apos; but when we got off the bus and into Mount Pleasant, the great 1760s Georgian mansion, I realized we did have a common language, and that was design." The Chinese visitors were enthralled with what they saw, running their hands all over moldings, and after an intense two days of looking at architecture, John Milner Architects began negotiating a contract to design a new neighborhood of very traditional houses in the city of Dalian in Northeast China. When asked why 18th-century American Classicism should have such a riveting appeal for 21st-century Chinese, Milner has a surprising explanation. "The Cultural Revolution sort of broke the natural evolution of architectural styles in China, so the Chinese have been looking for something they feel comfortable with ever since. As a result, China is covered with developments in neo-historical styles – some by California architects working in a loosely Tuscan/Mediterranean flavor, some lifted directly from Switzerland or England. In many cases these developments are quickly built and not very well designed, but this client was very interested in quality, as well as Georgian architecture." 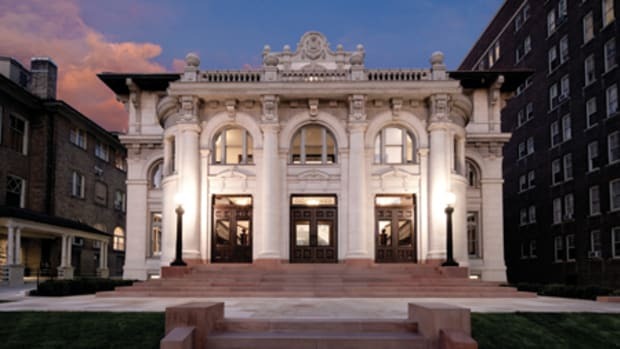 Based in Salt Lake City, UT, MJSA Architects' historic preservation and adaptive reuse work has helped save many important buildings in the region.